COME TO OUR OFFICE AND TRY OUR NEW POLISHING SYSTEM CALLED AIR POLISHING. Below is a picture of just what it can do for you. 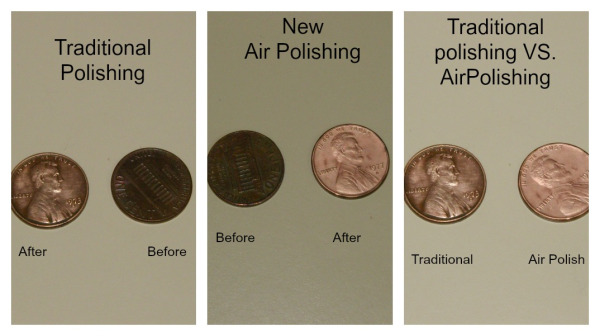 We used an old penny to show how traditional polishing vs air polishing remove stain. 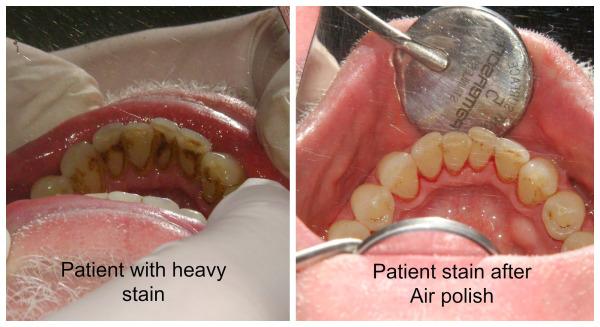 Here is a Before and After of a patient with Heavy stain.